Anemia: What Lies Behind The Diagnosis? Too many of us if you do not hurt yourself, then certainly heard such a diagnosis as «anemia.» And no wonder, since the disease is common in a lot of variety of diseases and conditions, and has always been the most common blood disorders. However, few laymen know that disease — is a collective term that covers a number of different diseases, the main symptom of which is the change of red blood cells and hemoglobin. Before we talk about anemia, say a few words about the most important participants in this pathological process — red blood cells or red blood cells. Red blood cells are the major component of blood because they contain iron-rich protein hemoglobin, the main function of which is the delivery of oxygen from the lungs to the tissues of the human body. The formation of erythrocytes occurs in the bone marrow. For the synthesis of hemoglobin and erythrocytes red brain uses various materials such as iron, vitamin B12, folic acid, and protein. 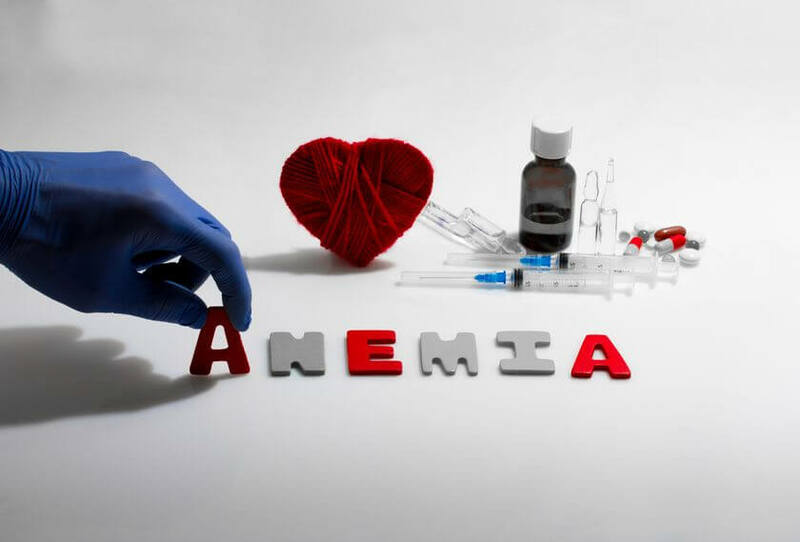 Anemia occurs when blood is circulated in an insufficient number of erythrocytes / hemoglobin or erythrocytes if / hemoglobin defectively operate its main function (oxygen transfer). In some cases, the disease is temporary, in others — it becomes a long-term, chronic disease. 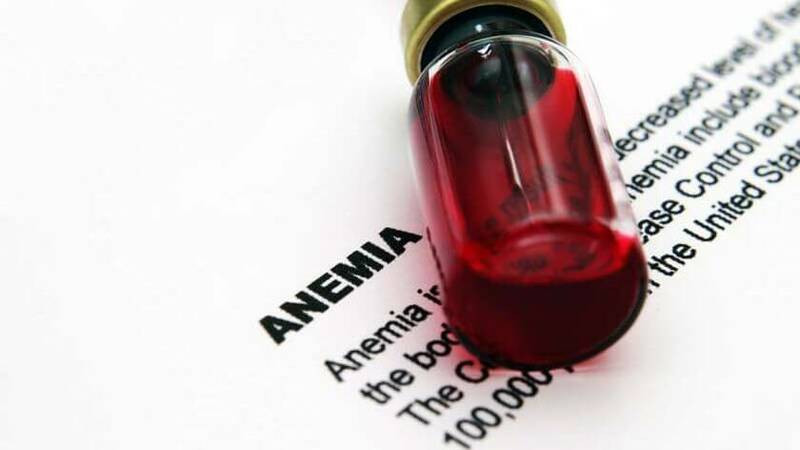 Depending on the severity of the disease and the severity of changes in the blood picture is customary to distinguish mild, moderate and severe anemia. Iron deficiency anemia is the most common form of the disease. Her reason — iron deficiency related to insufficient intake, violation or excessive consumption of this element of body tissues. Iron deficiency disease has often affected a person sitting on a rigid diet, people with gastric ulcer and hemorrhoids (due to chronic bleeding from ulcers and hemorrhoids), women with heavy menstruation, pregnancy, and breastfeeding women. In the analysis of blood, the main feature of the iron-deficiency disease is a decrease in the level of hemoglobin, some cases — in combination with a reduced amount of red blood cells (eg, for disease, which developed as a result of bleeding). B12 deficiency disease due to a lack of vitamin B12 and folic acid. The leading cause of this form of anemia is an unhealthy diet. Since the main source of vitamin B12 and folic acid are animal products, often this kind of disease occurs in veganism followers — most odds system vegetarianism prohibits any food of animal origin. It is also the cause of B-12 deficiency disease may have some diseases of the stomach and intestine, leading to malabsorption of these vitamins. When a blood test revealed an increase in hemoglobin in the blood, increasing the size of red blood cells and the appearance of abnormal cells — megaloblasts (because of them it is also called megaloblastic anemia). The severity of the symptoms of this type of anemia causes another of its name — a malignant anemia. The anaplastic disease is a rare form of the disease, the cause of which — in violation of the synthesis of red blood cells in the bone marrow. Most often, the development of aplastic disease causes severe viral infections, exposure to toxic chemicals, ionizing radiation, hypersensitivity to drugs, and autoimmune diseases. When a blood test revealed a sharp decline in the number of red blood cells and hemoglobin level. Hemolytic anemia is caused by a significant shortening of the life span of red blood cells and their destruction in the bloodstream or in the spleen. With the active decomposition of red blood cells, you have large amounts of bilirubin, which in high concentrations is toxic to our body. To the destruction of red blood cells can cause mechanical causes (eg, leaky artificial heart valves), infection, and exposure to toxins, autoimmune diseases, and congenital anomalies of the structure of red blood cells. The blood test detects the reduction in the number of red blood cells and hemoglobin level as well as high levels of bilirubin. Sickle cell disease — an inherited disorder in which the structure of the protein component is disturbed hemoglobin. Red blood cells with defective hemoglobin change shape and cannot properly perform its functions. The life of red blood cells is shortened, and they quickly undergo hemolysis (destruction). The diagnosis is based on detection of specific blood erythrocytes, sickle-shaped. Anemia of chronic disease. Some chronic diseases — such as cancer, HIV / AIDS, rheumatoid arthritis, Crohn’s disease and other chronic inflammatory processes, as well as severe kidney disease — may interfere with the production of red blood cells and hemoglobin, causing the development of chronic anemia. Given the variety of possible causes of anemia, we identified the following factors that identify people at high risk of developing the disease. Diet stably with low protein, iron, vitamin B12 and folic acid. Bowel disease, including celiac disease, Crohn’s disease; surgeries on the stomach and small intestine. Any chronic diseases, in particular, diseases, accompanied by renal or hepatic insufficiency. Cancer (any type of cancer). Chronic bleeding (for example, at a stomach ulcer or hemorrhoids). The presence of genetic (eg, sickle cell), diseases family history. Other factors (infectious disease, a blood disease, autoimmune disease, alcoholism, exposure to toxic chemicals, and the use of some medications). Symptoms of anemia are very diverse, depending on the type of disease, its causes, duration and severity of the disease. 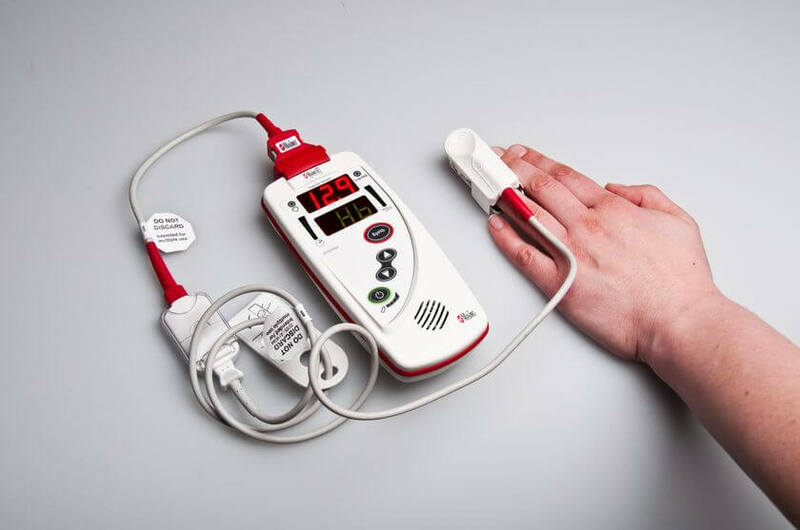 Typical symptoms that suggest anemia include constant fatigue, fatigue, pale skin and visible mucous membranes, rapid pulse, rapid shallow breathing, pain in the head and chest, dizziness, memory impairment, cold hands, and feet, headache. In the early stages of disease is usually asymptomatic. During this period, the diagnosis can only be accidental, the result of a blood test. However, if you do not eliminate the cause of anemia, the disease progresses and soon the symptoms that gradually increase. Without treatment, the severe type of anemia can lead to serious complications, including the development of heart failure, and death of the patient. Laboratory tests and, above all, a common blood count to determine such indicators as the number of red blood cells and hemoglobin, the color index. It should be noted that the normal values of hemoglobin for an adult are about 140-180 g / L in males and 120-160 g / L in women. Normal values for children are highly variable and depend on the age of the child. Additional analyzes. Depending on the suspected forms of disease a doctor may prescribe a study on the level of serum iron, bone marrow puncture with the study sample, a thorough examination of the digestive tract (to identify the source of chronic bleeding) and other analysis and research. In some forms of the disease to the survey may be held narrow specialists, such as a gastroenterologist or hematologist. The nature of the treatment depends on the type of anemia and disease causes disease. Iron-deficiency anemia. The treatment is based on the change in diet to increase the share of products containing in its composition iron. Additionally, prescribers iron (in the form of tablets, capsules or injection) which rapidly raise the blood level of the element. If the cause of iron deficiency disease is bleeding — the mainstay of treatment is to find the source and stop the bleeding. Sometimes this purpose resorts to surgical intervention. B12-deficiency disease also adjusted by means of medical supplies and drugs containing vitamin B12 and folic acid. In the presence of diseases or toxic effects, which are the cause of this form of anemia, required their correction or elimination. Anemia of chronic disease has no specific treatment. All attention should be focused on treating the underlying disease. In severe anemia may be administered transfusion of red blood cells or injections of synthetic erythropoietin (a hormone that stimulates red blood cell production in the bone marrow). Aplastic anemia. Treatment of disease may include red blood cell transfusions to increase their levels in the blood. In severe bone marrow, the transplant may need it. Hemolytic anemia. The basis of the treatment of this form of the disease is the abolition of drugs that have a destructive effect on red blood cells, treatment of opportunistic infections and the use of drugs that protect red blood cells from the attacks of the immune system. In severe red blood cell can be poured, or may be assigned plasmapheresis (blood filtering procedure). In some cases, physicians have resorted to removing the spleen. Sickle cell anemia. Treatment of this type of disease includes the introduction of oxygen, pain medications, and actions aimed at the prevention of complications. Also shown transfusions, the use of drugs and folic acid supplements. Since the causes of disease are well known, prevention is also quite obvious. This includes a balanced diet, a healthy lifestyle, self-acceptance and use of drugs only on prescription. For early detection of diseases, capable of giving impetus to the development of anemia, as well as detection of early stages of anemia is mandatory annual medical examinations by a physician with the indispensable common clinical blood test.